I saw this interesting arrangement in the parking lot next to work. The green curve is some kind of sand bag, I think. 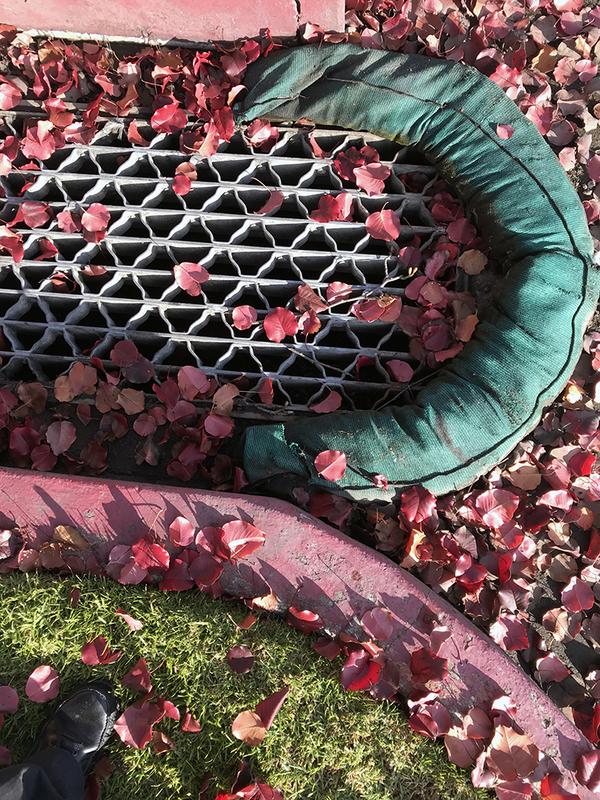 It doesn’t work to prevent leaves from getting into grate area. Maybe it’s for a parking lot oil spill. This entry was posted in Personal Stories and tagged artistic process, creative process, creativity, found art, parking lot, photography, sand bag, street photography, visual arts. Bookmark the permalink.